In April I had the absolute pleasure of working with a group of young people in Wiltshire to help promote the Healthwatch Wiltshire “Young Listeners” project. This project involves young volunteers canvassing the thoughts and views of their peers and reporting their findings back to Wiltshire’s Health and Wellbeing Board.The findings are then used to help improve health provision for young people in the county. My job was to generate a set of images for use across Healthwatch Wiltshire’s Youthwatch web pages and literature as well as for use in press releases and case studies for social media. They were a lively bunch, full of character and great fun to work with. Two of them stoically posed outside for a press photo in spite of the rain which was coming in sideways, but they were utterly professional about it. Zoe and Elley-May pose for a press release photo. An unplanned moment makes a perfect banner photo for the client site. I also shot a short series of portraits, two of which you can see here, to accompany case studies (luckily it wasn’t raining at this point). The client, citing my recent skateboarders project, wanted a similarly gritty and dramatic feel to the photos. I couldn’t reproduce exactly what I’d done with that project so I chose the side of an industrial unit as an out-of-focus backdrop and lit the faces in a dramatic and eye-catching way. The results have appeared multiple times in local media and have given the client material for their Facebook page and website. It’s a great start to their photo library which they can draw on and build up over time. Recurrent controversies over the doctoring of photojournalistic images might seem of distant interest to businesses and organisations which only use commercial images, but there is an important crossover area wherein danger lies for every business. Most businesses using photographs in their corporate communications are in the main either buying stock photos or commissioning them from a photographer like myself. As these pictures are being used to illustrate or promote a commercial venture in some sales capacity (website, brochure, catalogue etc), they don’t have to conform to the standards of photojournalism. Assuming they observe normal laws, their purpose is to illustrate a concept, or the values of the organisation, not some higher truth. But occasionally businesses will engage a photographer to take press and PR pictures. These of course are destined for use in newspapers, magazines, trade journals perhaps and almost certainly online in social media and so on. The medium really doesn’t matter; such pictures are taken as a matter of record and should be treated as seriously as if they were showing history unfolding. It doesn’t matter if the photos show a cheque being presented, a ribbon being cut or a visit by an MP or Royalty, the intention of these photos is to illustrate something which has happened in the life of the organisation and should be treated as historical records. Where a photo is set up, such as for a presentation of an award, a prize, the launch of a new venture or whatever, it’s generally obvious from the way the participants are posed and often looking to camera that the scenario has been choreographed by the photographer, and this is fine because the viewer will understand they’re seeing a staged photo. However, this staging isn’t a licence for elements or people in the picture to be doctored in, out, moved or changed in any way. What happens in front of the camera should be shown in the final result. 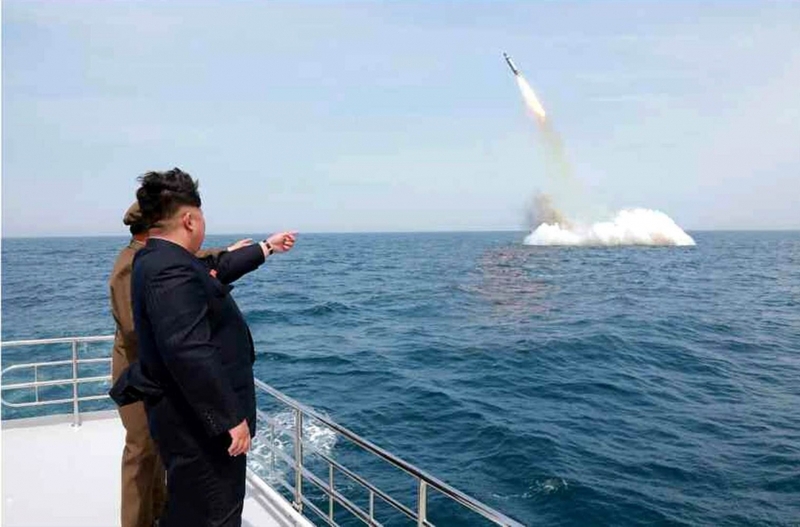 Some manipulation just draws ridicule, as this North Korean press shot did. It’s not uncommon for a client to suggest that I can Photoshop something in or out when I’ve taken a photo for press release and often they look at me quizzically when I explain that I cannot do this for ethical reasons. No photographer can because it breaches the editorial code of ethics, and if caught could seriously harm the reputation of the photographer and their hopes of finding future work. It also does the client no favours when the “internet” gets hold of a story of doctoring or manipulation. The business name may be spread far and wide, but it will be couched in negative terms and with a (possibly) permanent and negative connotation. And so as tempting as it may be to say “it’s just a group photo,” or “only for the web,” don’t be tempted into breaking ethics for the sake of a “better” image. It could ruin your image. It’s official, I have got the film bug quite seriously. I’ve always loved film and I find I’m more drawn to shooting personal projects on film than on digital. In fact with digital I found it hard to get started on personal projects because the process always ended up feeling very much like all my other work. For personal work I needed some kind of demarcation from my corporate communications photography, and I’ve realised film gives me that distinction. It also makes a difference to those I’m photographing. People seem to engage more with the idea that I’m producing an image of them using a tradition they thought had died. On a subconscious level I wonder if they feel more comfortable knowing they’re not being instantly “digitised”, albeit at some point I have to scan the images in order to be able to print or display them. Shooting film the way I do with the subjects I tend to be drawn to is often a slower process than digital and I’ve realised people now expect photography to happen much more quickly than perhaps it used to. With film I will take a more considered approach. I’ve never been one to shoot thousands of pictures in the hope of getting one good one, but with film I find I’m taking this further and taking more time to consider the picture I’m taking. Accordingly I find I have to manage my subjects’ expectations and explain things won’t happen as quickly as they may be used to. That seems to relax them too. The benefit I’m getting from shooting film is that I’m going back to basics again, re-remembering my core strengths, abilities and values as a photographer and this is feeding back into my corporate communications work. I’m also having more fun sharing the results on Instagram where you can see my feed has become more focussed on my film work. I have new projects in planning, including a whole series to be shot on out-of-date film which presents a whole new set of challenges. If you’d like to follow my foray back into film, check out my Instagram account, I’ll be delighted to see you there and even more so if you decide to click the Follow button.